The WICB Regional Four-Day Tournament saw Windward Islands impressive 197-run win over the Leeward Islands — with a day to spare — in fifth round action at the Grenada National Stadium on Sunday. Windwards surged to second place in the tournament, 3 points behind tournament leaders Barbados, who moved to 65 points after hammering Jamaica by 245 runs. 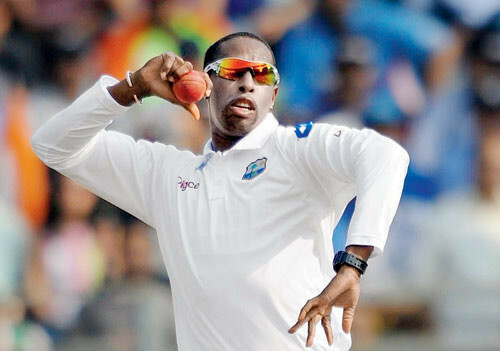 Shillingford was twice suspended by the International Cricket Council (ICC) for an illegal bowling action. He has again been cleared to return to international cricket after remedial work on his bowling action. However he will not bowl his doosra, which remains illegal.